Award-winning prima ballerina and principal dancer at the New York City Ballet, Tiler Peck is the subject (and co-producer alongside Elisabeth Moss) of the new Hulu documentary Ballet Now, which captures her journey as the first ever woman to be asked to curate The Music Center’s famed BalletNOW program. 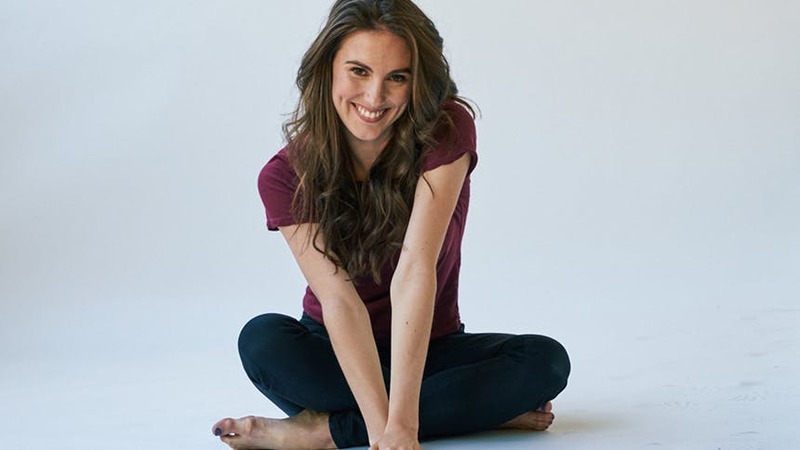 BroadwayBox caught up with Tiler (who is also attached to pre-Broadway run of Ahrens and Flaherty's new musical Little Dancer) to discuss her groundbreaking project, the power of women helping women, and the gift of this documentary. 1. As the first woman to curate for a NOW program, how has the ballet world changed for women since you began? I feel the talented women of the ballet world are finally getting the chance to have their voices heard. Ballerinas are accustomed to being told what to do in the ballet studio, whether it be by a choreographer and/or director, so typically their bodies are their voices but bodies are not actually vocal! I was honored to be the first female asked to collaborate and curate The Music Center's BalletNOW at the Dorothy Chandler Pavilion because I was excited to be given the opportunity to make the artistic decisions and vocalize them while still doing what I love most, performing and dancing, with some of the best dancers in the world. 2. What are changes you would still like to see? I would love to see more women in leadership positions in ballet. BalletNOW was particularly female driven from the top down. It started with Rachel Moore, the CEO of the Music Center, entrusting me with curating the performances, as the first female artistic director/curator of her production of BalletNOW. I shared the responsibility of the documentary with Elisabeth Moss, the Executive Producer. There were many women whose voices were heard by me and others to create the documentary and the live performances. I don’t think there is anything more powerful than successful women helping other women succeed. This was hard work but joyful! 3. How did you balance this demanding career milestone with having the documentary crew and co-producing the protect? Did it ever feel like too much in the moment? I never really had a moment to pay attention to the cameras! I was being pulled in so many directions that I had to keep my main focus on being in the moment so that I could put on successful programs for The Music Center while also being attentive to anyone and everyone who came to me with a question (which was every second of the day!). There wasn’t time for me to think even for one second what I was looking like on camera or what they were capturing, and I hope that is what makes the documentary so compelling and unique. It is realistic with no added fluff. 4. What is one Prima Ballerina myth or common misconception that you could debunk right now? That we don’t eat! I think most people would be very surprised at just how much food we need to be fueled—like all professional athletes. 5. What was the best part of Ballet Now for you to relive when you watched and the hardest part? All of it! There was so much going on that the experience was a bit of a whirlwind for me and I wasn’t able to absorb it all in the moment. To be able to relive every up and down is what I love most....every time I watch a piece of it, I still say to myself, “I literally don’t know how I did it!” I can honestly say that putting these BalletNOW performances together for the Music Center is one of my proudest moments in my career to date and to have that captured forever is such a gift! 6. What’s the last Hulu show you binged? The Handmaid’s Tale of course, with the incomparable and moving Lizzie! 7. What insight did executive producer Elisabeth Moss offer during or before this project that really helped you through it? We were always on the same page about wanting the documentary to be a very true and intimate glimpse into the world of ballet; no added drama. We both felt that the hard work, sweat, determination and glamour of the ballet world was interesting in itself and I am so grateful to her for believing in this film and allowing it to stay true to our art form. Don't miss Tiler Peck in Ballet Now, available to stream on Hulu.